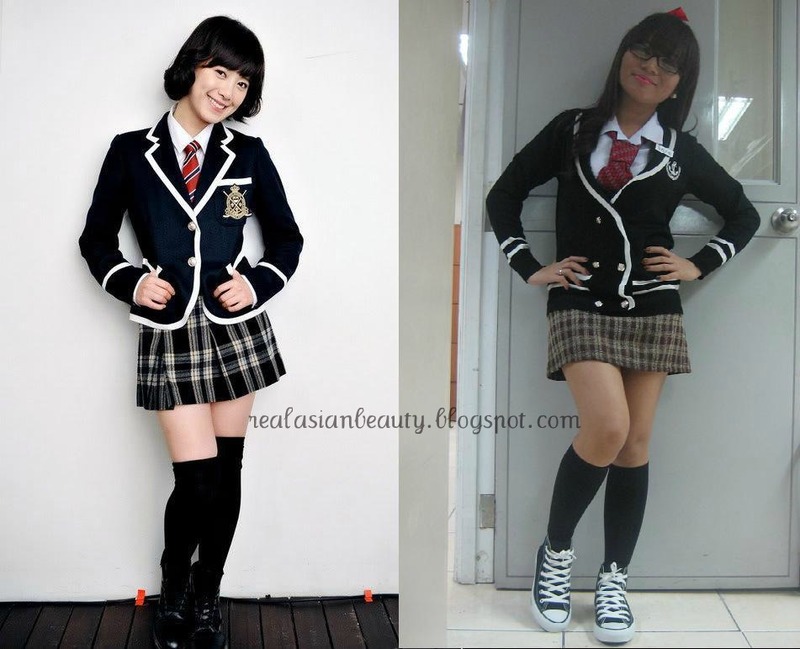 I've always wanted to wear a Korean uniform inspired outfit. Since it so hot here in the Philippines, students only wear a basic white blouse with collar and a skirt. Period. 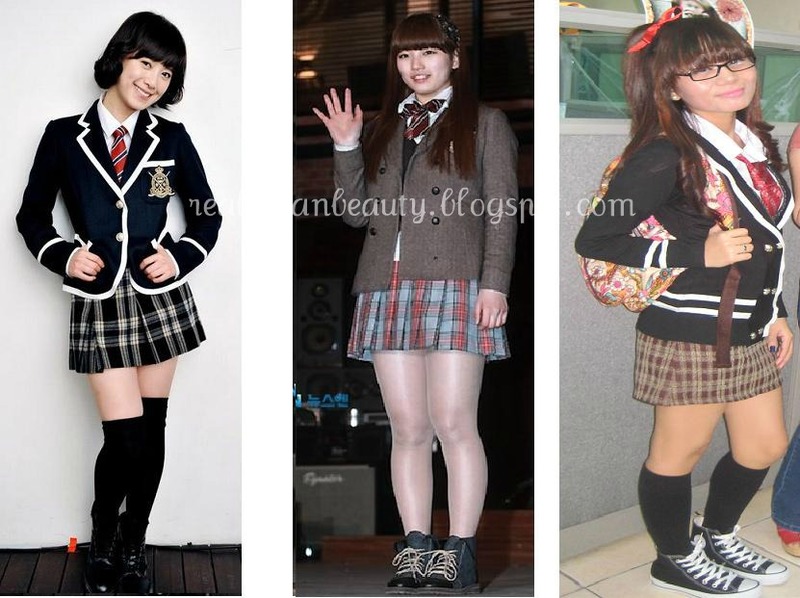 I am a huge fan of Korean dramas and I adore their cute school uniform. So, for our company Halloween party this Halloween of 2011, I decided to be a student! If you watch a lot of Korean dramas, then I am sure you know exactly where I got my inspirations from. 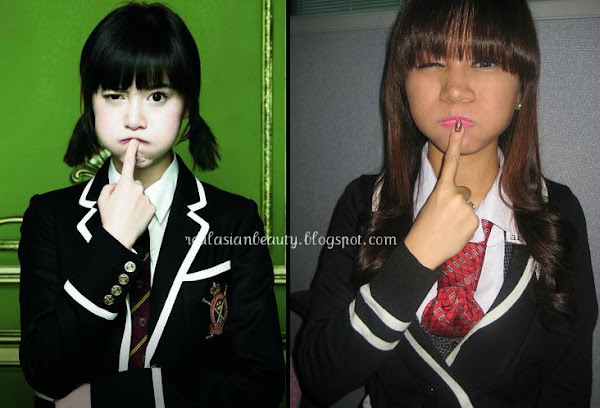 I originally wanted to be Miss A Suzy's Go Hye Mi character from Dream High. In the drama, she wore a lot of head bands with bangs cut full. Her skirt was plaid brown and she wore a matching brown coat and a striped red bow. I looked for pieces of vintage clothing in my mom's closet and found this brown plaid skirt that I thought was similar as Suzy's skirt. So, I was decided that I was just going to wear a brown coat with it. I went to the mall to get a red tie and a school patch. I was looking thru the items when I luckily found this black jacket/cardigan that was similar to that of Jan Di's. So, basically most of the items I wore were borrowed. haha. I just thought it won't be practical to spend bucks on pieces I would be using just once. And that's the final look! I was happy to be able to finally sport the look that I've always wanted.